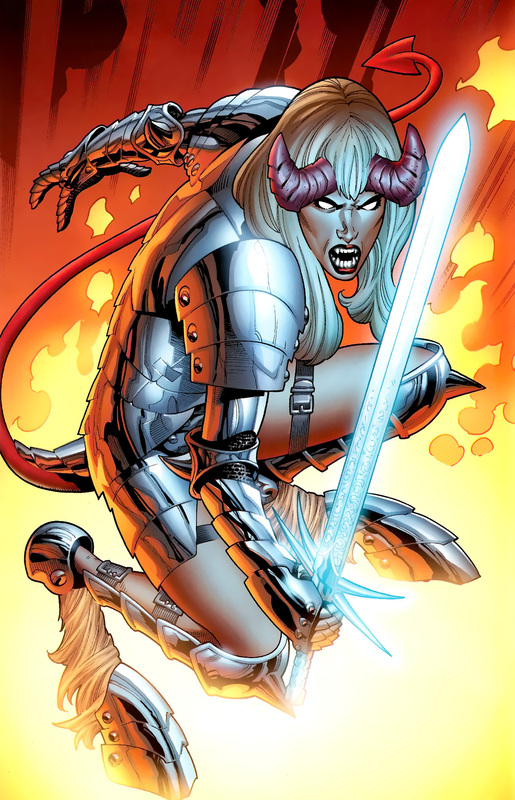 The she-demon that calls itself Darkchild has confused memories of her former life and death as Illyana Rasputin. She has flashes of her self-sacrifice at Inferno, of her resurrection as a child and death from the Legacy Virus. But the past isn’t as important as the now, and of late, the now has been suffering, torture, imprisonment, and partial conquest of her little corner of hell. Resurrected by fools at the Raft seeing the power of another demon, Darkchild seeks only to rule the chaos before her. But will the demon remain dominant, or will Illyana cast off the darkness and return to the light once more? 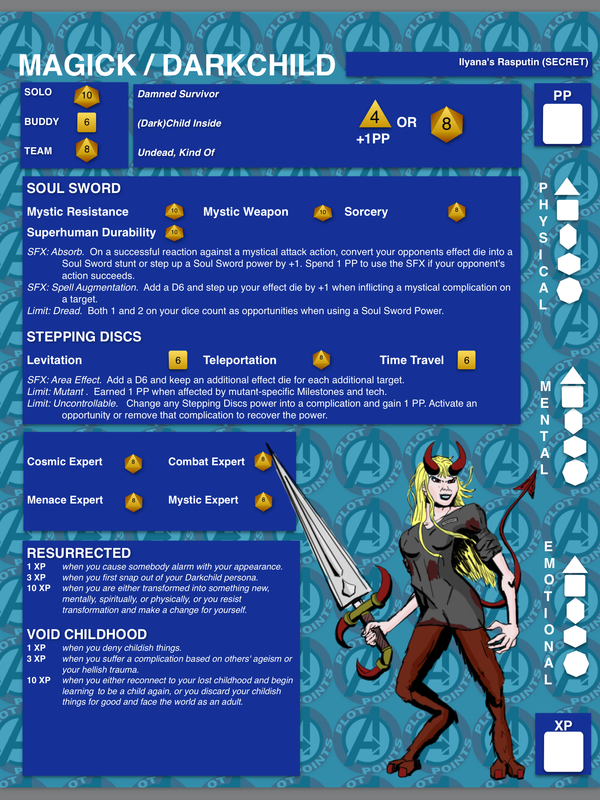 Good to see Illyana as a Datafile! 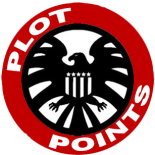 This entry was posted on October 27, 2015 by jpjolin in Actual Play, Datafiles and tagged Darkchild, Fearsome Avengers.